With the streaming-music business taking heavy fire lately for supposedly underpaying musicians, Spotify has issued research that it says proves that its streaming service reduces piracy. 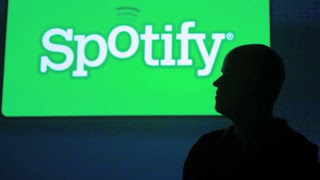 The report, "Adventures in the Netherlands: Spotify, Piracy, and the new Dutch Experience," indicates that between 2008 and 2012, the percentage of people age 15 or older who downloaded one or more illicit copies of songs fell from 32% to 22%. By the same criteria, downloads of illicit copies of movies (which have no precise analogue to Spotify) rose from 10% to 18%. Spotify launched in the Netherlands in 2010. The research was conducted by Will Page, Spotify's director of economics. Another finding: Artists who participate on Spotify have their music pirated less often and see increased sales compared to those who don't. Thom Yorke of Radiohead probably doesn't care: This week, he announced he was yanking all of his non-Radiohead work (solo material and work by his other band, Atoms for Peace) from Spotify in protest of the service's paltry payouts. Interestingly enough, a few days later Yorke announced that he's signed on with another service, the British startup Soundhalo, to stream audio and video of live performances. It's not known what kind of royalties the service pays or how they compare to those paid out by Spotify. Meanwhile, Internet radio service Pandora (P) is under siege from other musicians and the recording industry for its efforts to put its royalty payments on an equal footing with those of cable and satellite radio, which pay out a lot less.